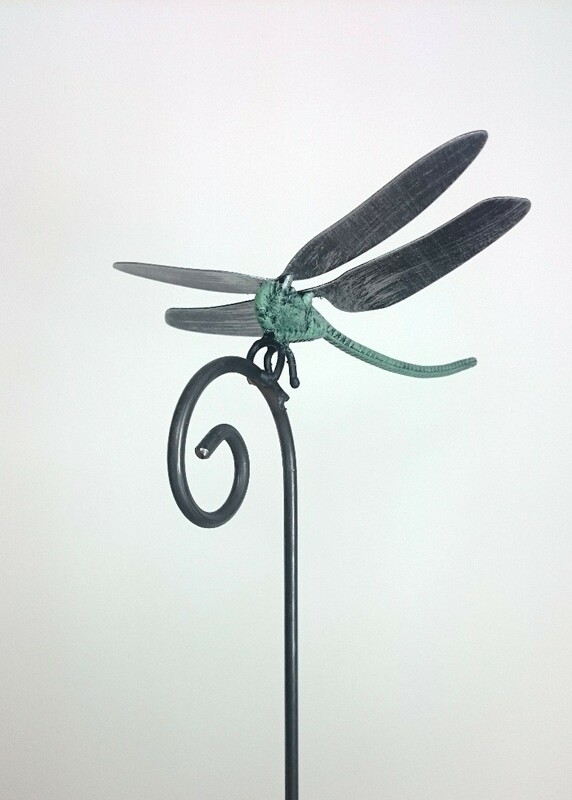 Hand forged metal dragonfly on a stem standing 120cm tall. 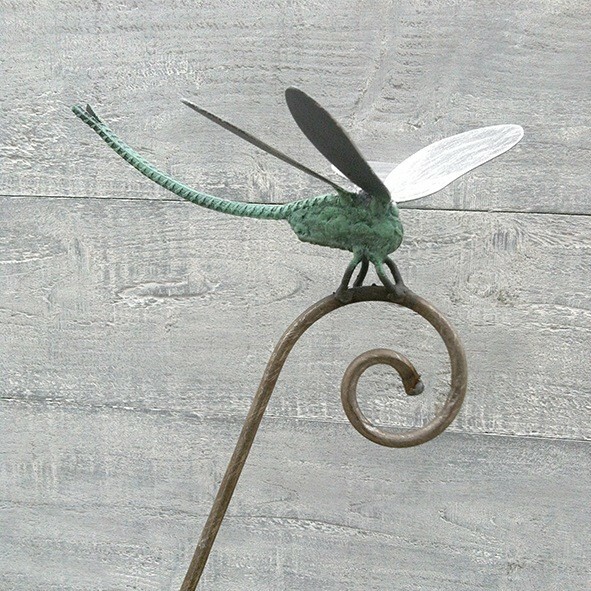 The length of the pole gives it movement in the wind. 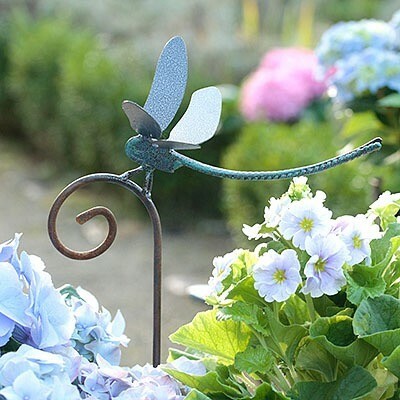 A Perfect present for garden lovers, they look lovely even as a single stem pushed into the bank of a pond or wild planting scheme. 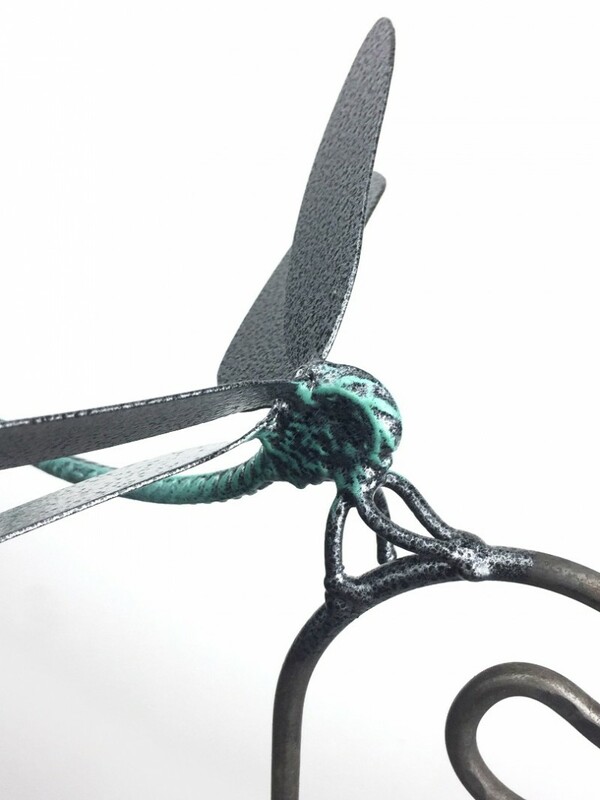 The bare metal stem will be sent to you with the stem looking grey in colour but when placed outside the stem will oxidise to produce a lovely soft orange colour that will look stunning against the green of the garden. 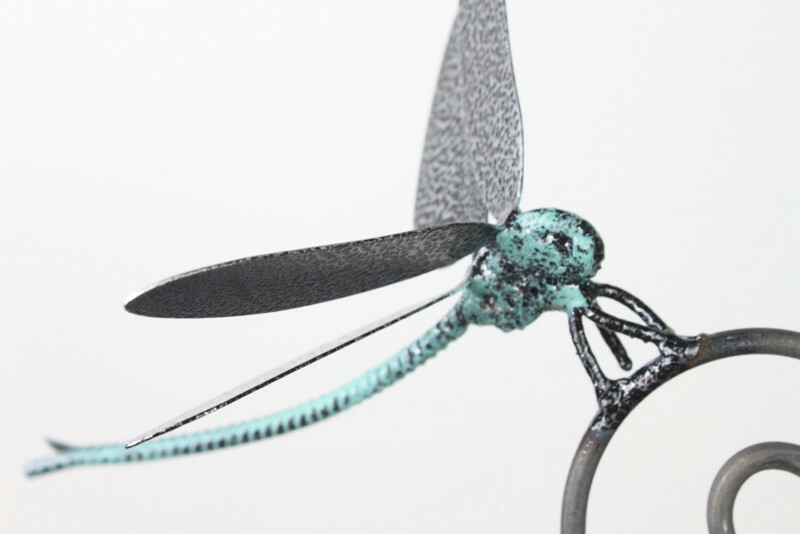 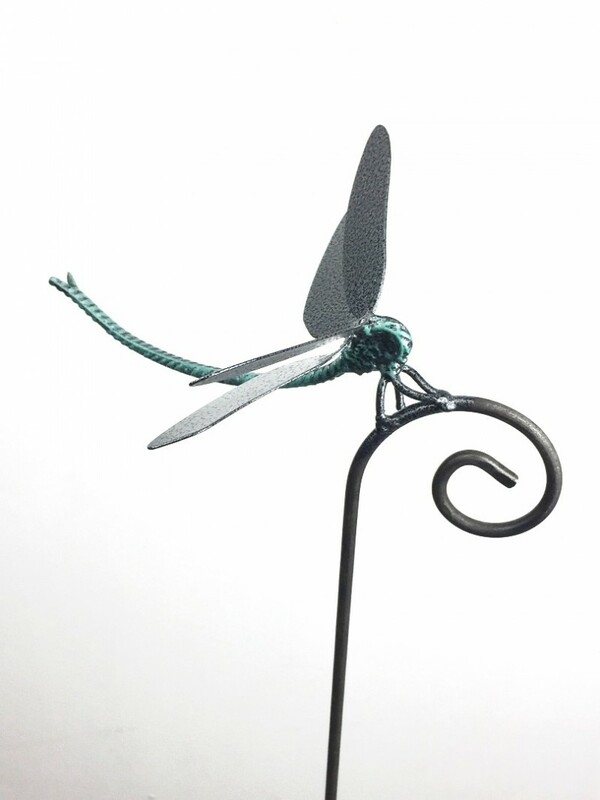 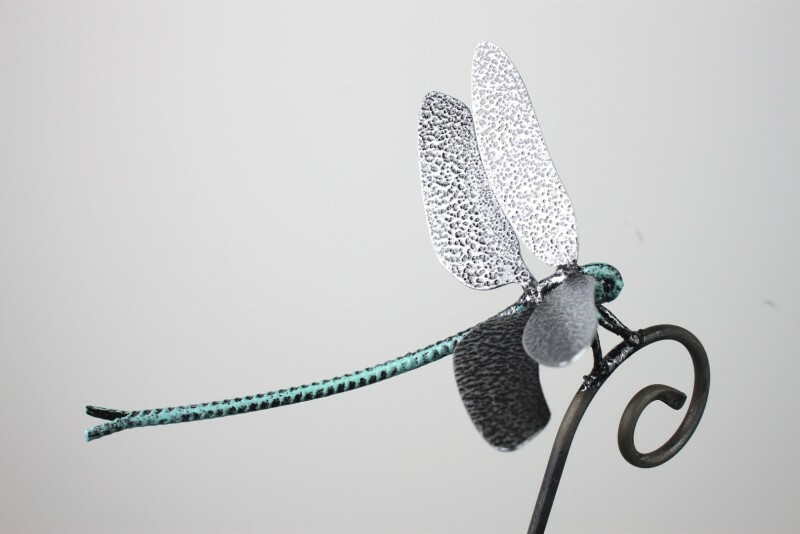 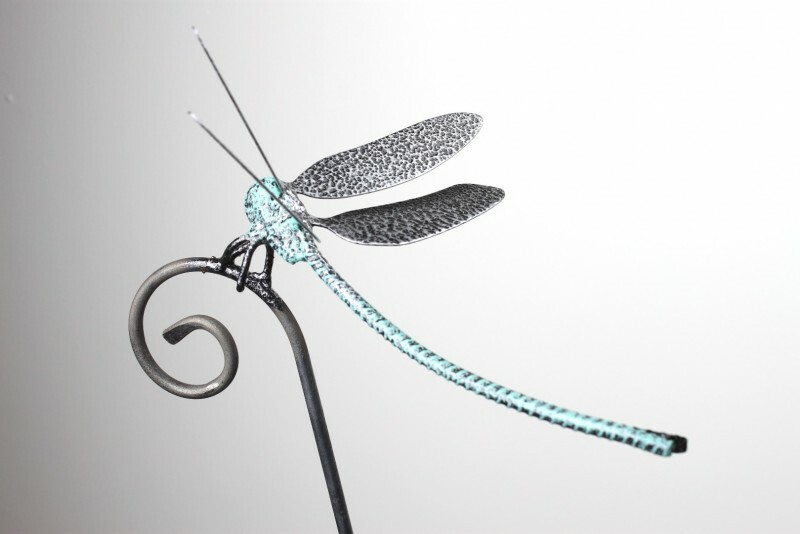 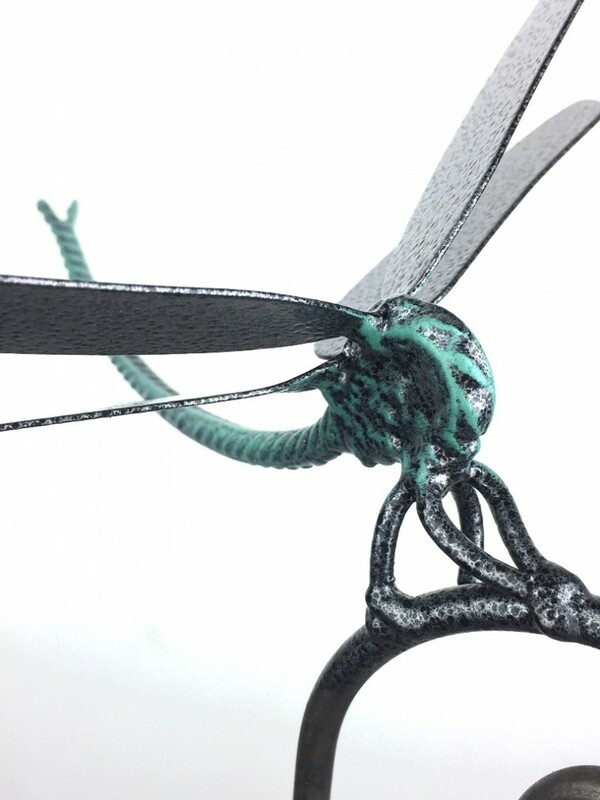 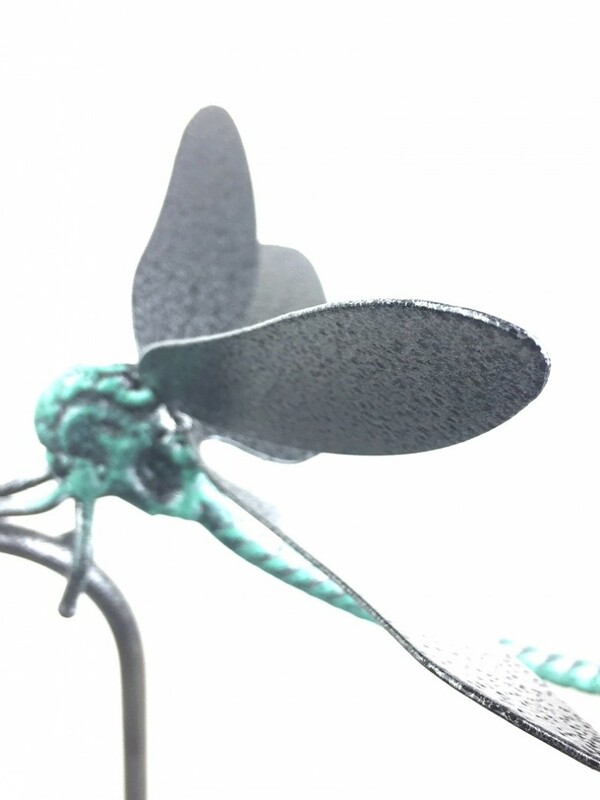 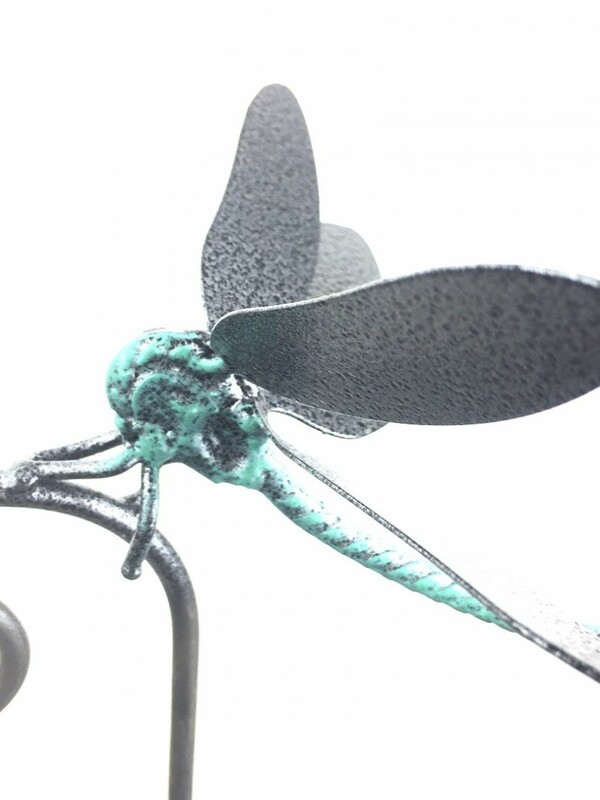 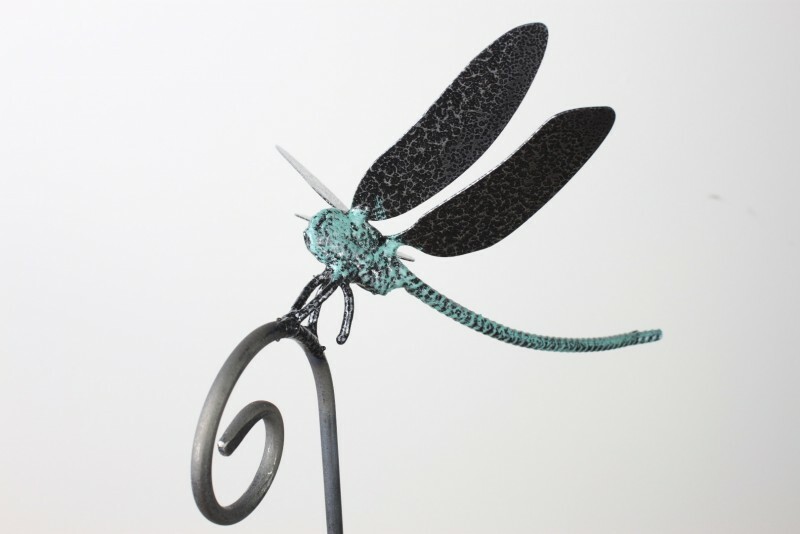 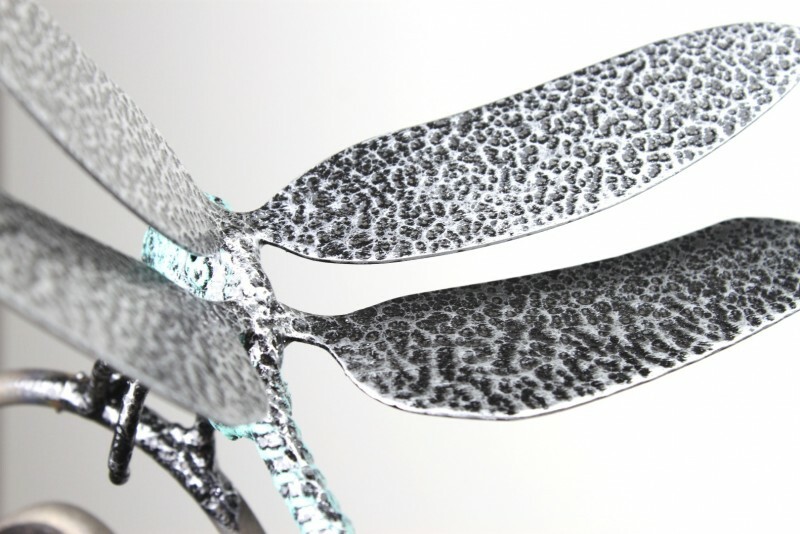 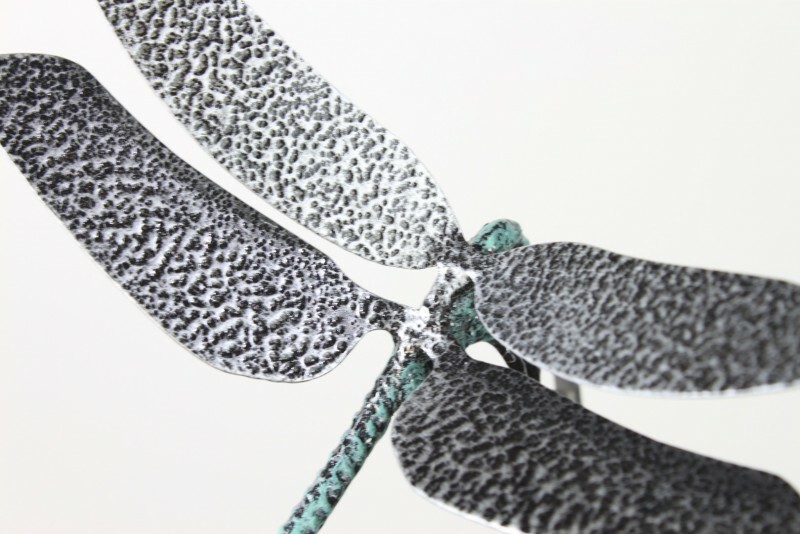 The dragonfly is protected with a lovely baked on powder coating that is decorated with lovely silver and verdigris patina that enhances the texture. 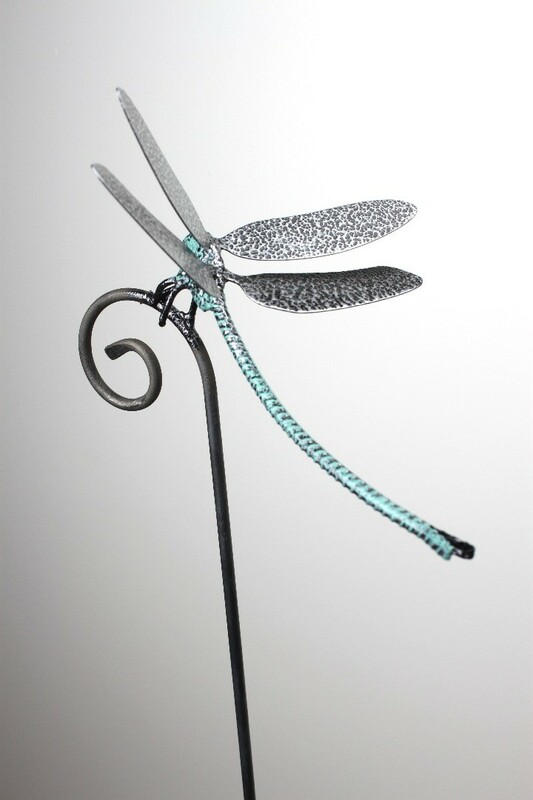 This elegant individual hand forged sculpture will give you many years of pleasure. 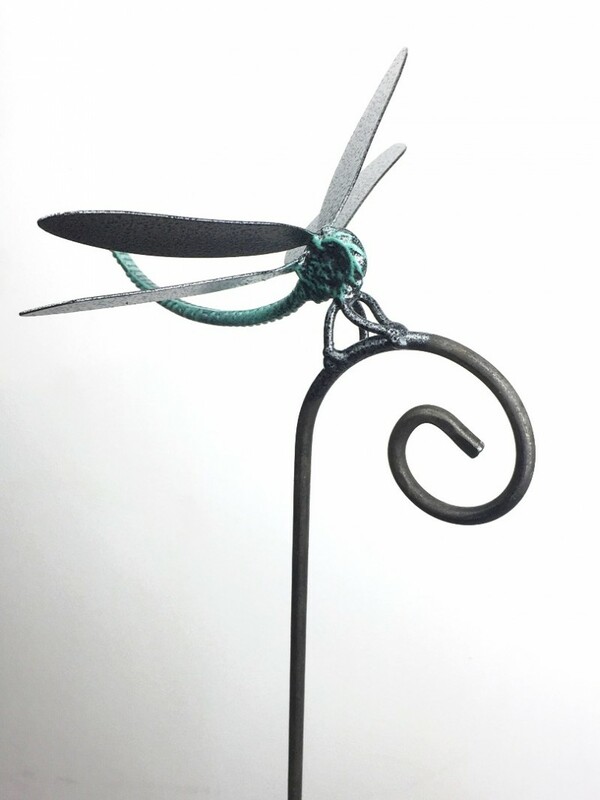 Now lets get personal- Why not add your individual message or memory, order the handmade copper tag with your own message stamped on that will last for ever. 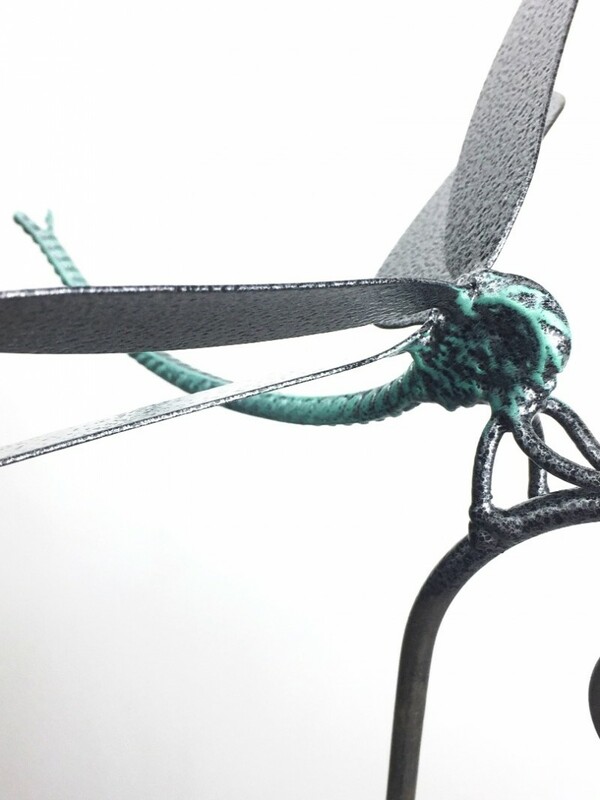 Just add the tag seperatley from the shop into your basket. 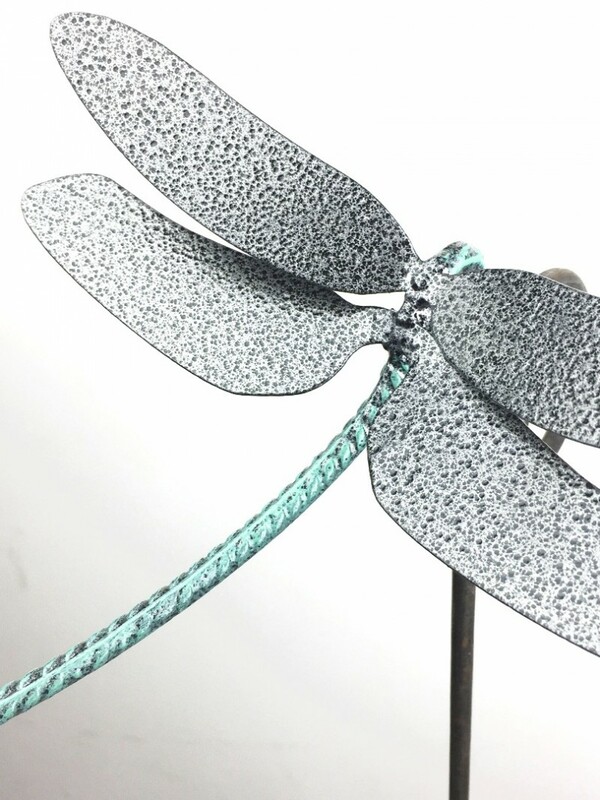 When you have purchased the tag add your message (up to 20 characters) in the notes at the checkout. 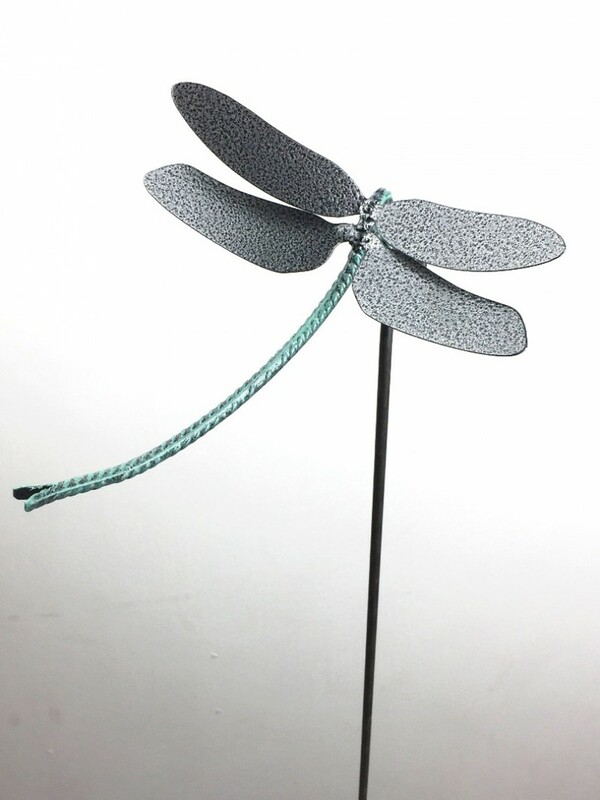 Your item will arrive with the tag and your message attached with copper wire. 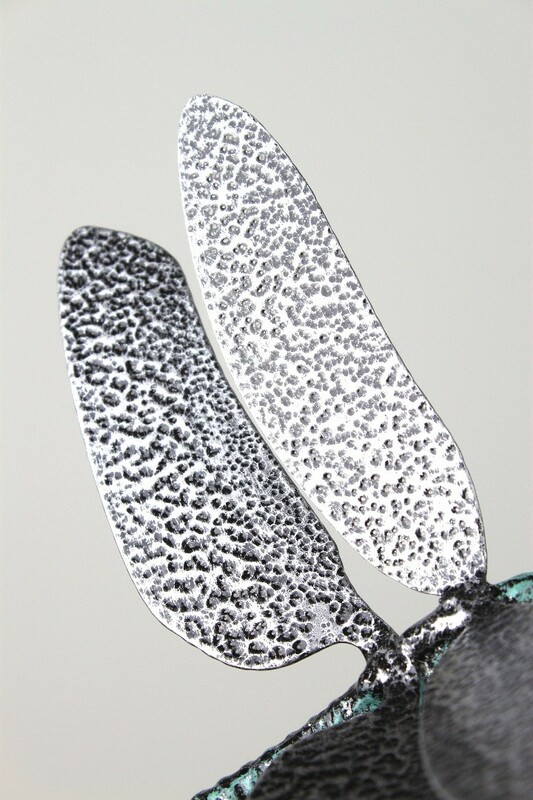 Look at the images to see examples.